Since my June 2012 blog, we have been hard at work planning for a new Spark!Lab at the National Museum of American History. I have formed a great team of colleagues from around the Museum to help develop a space that meets the needs of our (very diverse) visitors, ties Spark!Lab to the expertise and collections of the Lemelson Center and NMAH, and offers a truly innovative experience. Our planning team is made up of curators, educators, and historians; fundraising professionals; a public affairs specialist; and an accessibility expert—not to mention the all-important project manager who keeps us on schedule and within budget. It’s great to have a team with such wide-ranging knowledge and experience, as each member brings his or her own perspective to the planning process. In Spark!Lab, we help visitors connect invention to their own lives and to the American narrative, and offer opportunities for visitors to engage in the invention process and recognize their own inventive creativity. Invention and innovation have been—and continue to be—an important part of the American Experience. 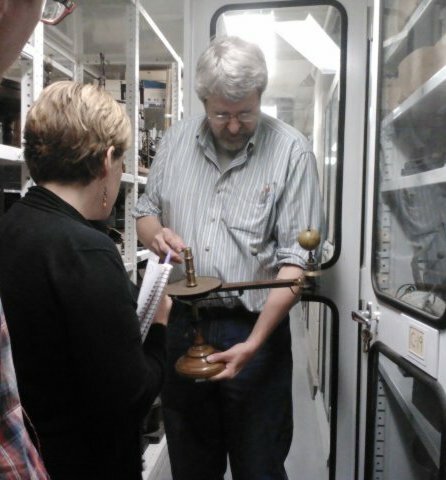 To date, the team has visited the Physical Sciences and Medical Sciences collections—or, really, parts of them. Most collections at NMAH are enormous and many are stored in multiple locations, some on- and some off-site. But we’ve been lucky to see collections items—many of which have never been or are rarely on display—that reflect various aspects of invention and innovation throughout American history. 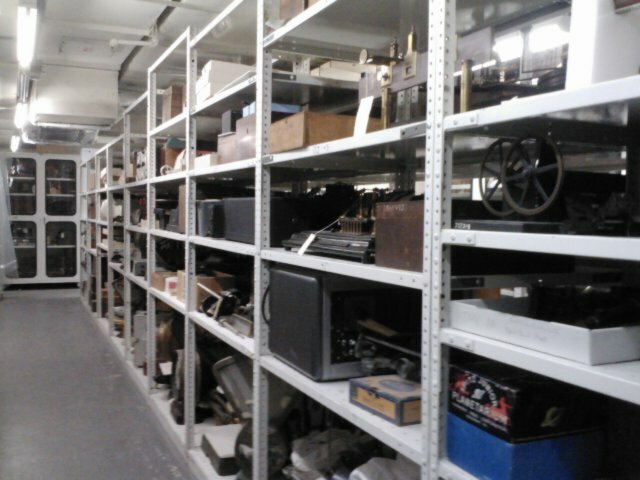 Inside the Physical Sciences collections storage area. Curator Steve Turner holds a 19th century “Tellurian.” This teaching device was used to show how the Earth’s movement on its axis and its orbit around the sun causes day, night, and the seasons. 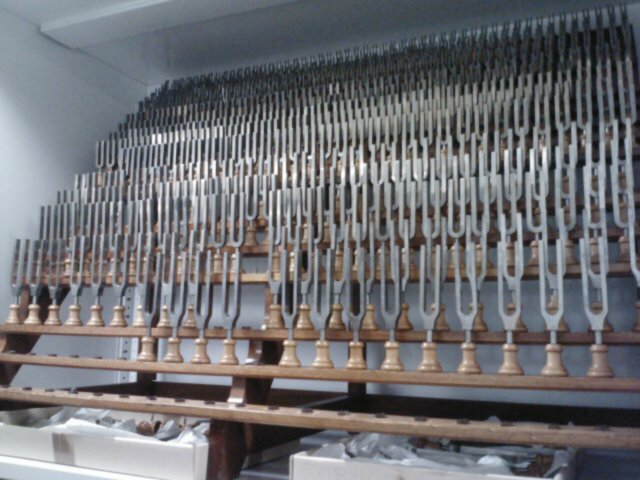 The National Tuning Fork Collection. The tuning fork, invented in the early 1700s by a British trumpeter, is an acoustic resonator. When struck, it will vibrate and resonate at a constant pitch. The specific pitch depends on the length of the two prongs or tines of the fork. Tuning forks have a wide range of scientific, medical, and technological applications. 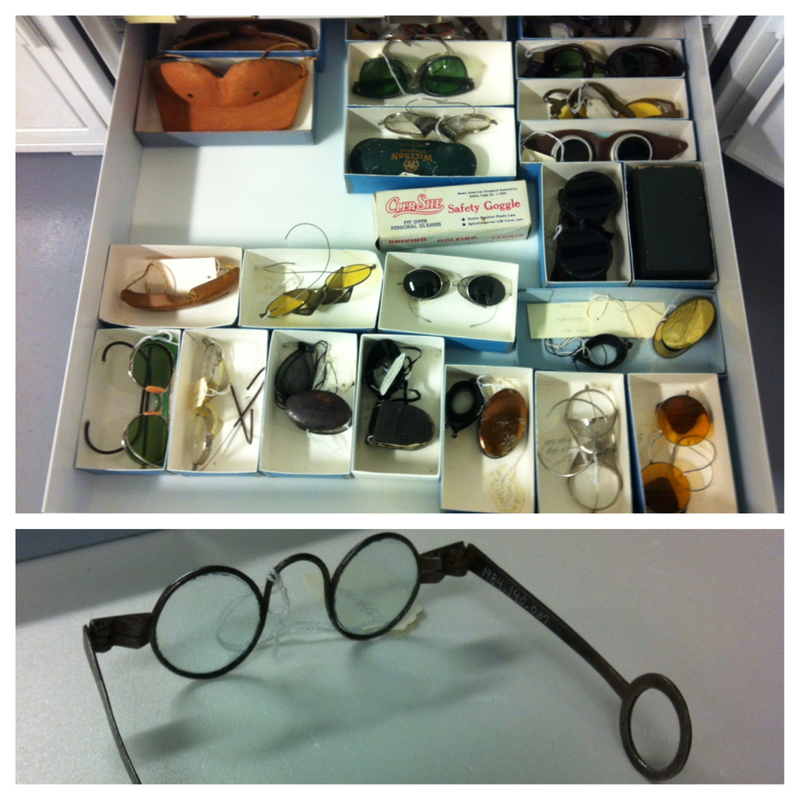 In the Medical Sciences collections, we looked at a large collection of eyeglasses to learn about the changes in the shape, size, and materials of which glasses were made. Early glasses, like those on the bottom (1750-1800), were small as the capability to grind lenses was limited. The circles on the ear pieces would have fit over the user’s ears to keep them in place. A prototype of an early defibrillator. The device was controlled by a simple on/off switch, and had a single knob to increase or decrease power. 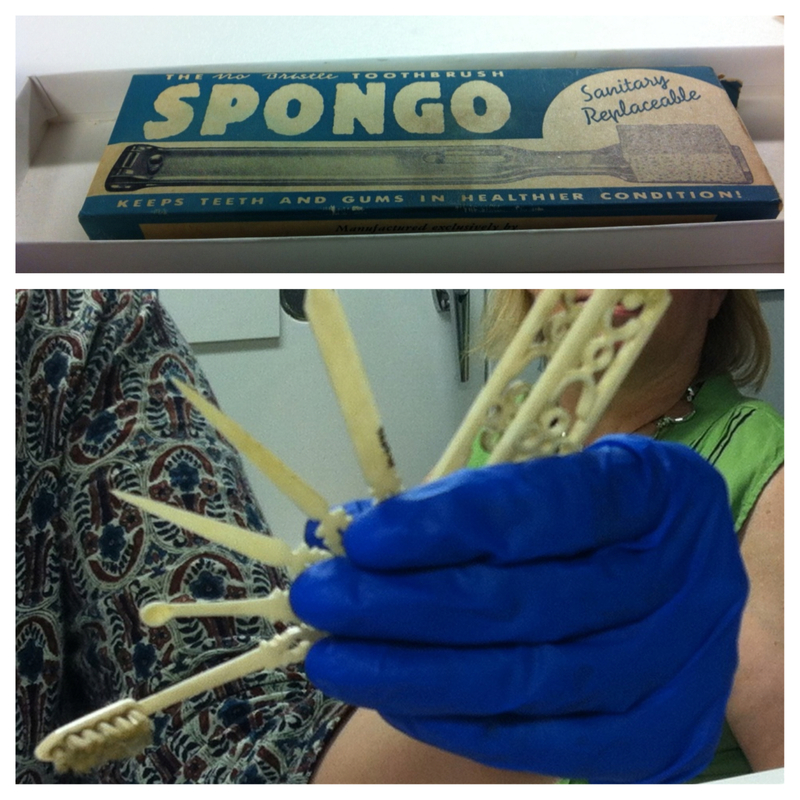 We also viewed the toothbrush collection and saw a range of innovative solutions to keeping teeth clean, including a sort of “Swiss Army” toothbrush (1908) which was made of ivory and incorporated other tooth- and gum-cleaning implements, and the Spongo (1940s-1950s) featuring a “sanitary” and “replaceable” sponge head instead of bristles. Our team has had a great time visiting these and other treasures at NMAH and, in the coming months, looks forward to visiting more collections. Next on our list are Photographic History to see cameras, lenses, and all things photography, and Work and Industry where we’ll get a chance to see the wide range of robots in NMAH’s collection! Just this week we also kicked off the exhibition design process for Spark!Lab, so we’re not only thinking about the activities visitors will do but what the environment will look like and how the space will really function. So expect more (and more frequent) updates as we further develop and design Spark!Lab 2.0. Though we won’t reopen our doors until 2015, we’re already excited about welcoming visitors back to Spark!Lab and seeing them create, collaborate, innovate, problem-solve, and of course, invent.